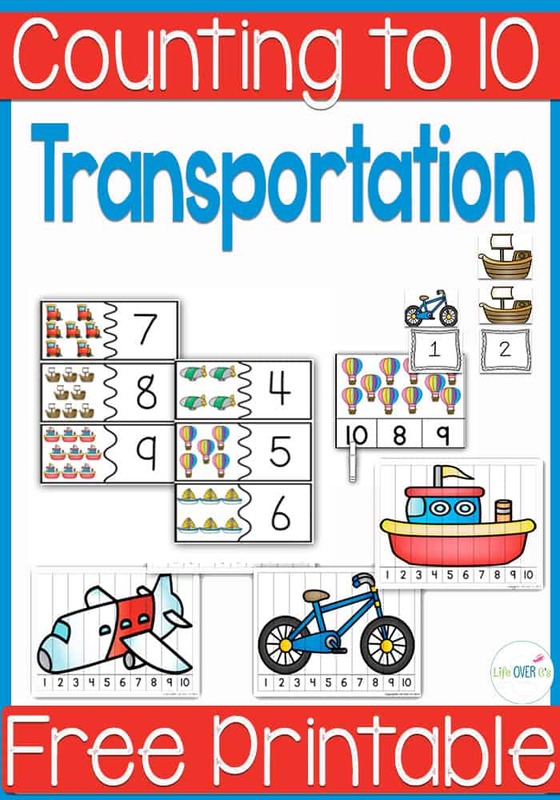 As promised, I’m continuing on with the transportation theme that I introduced on Thursday with the free pattern making printable. Today I have a free counting to 10 printable pack for you. It’s super cute and I can’t wait until Shiloh is ready to use it. 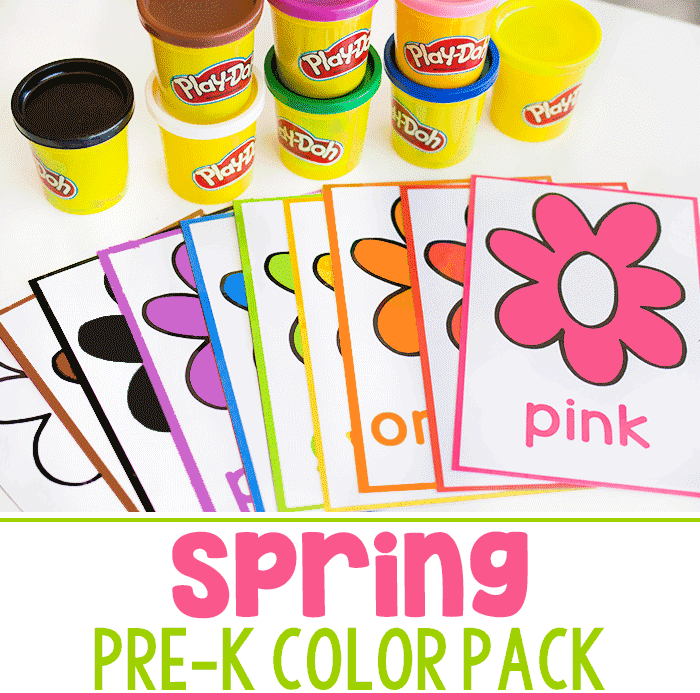 This counting to 10 pack is great for preschoolers and kids in the beginning of kindergarten. You could also use it as a review resource for 1st graders who need to learn to count things quicker. These four fun activities will make a great addition to your transportation activities. I find that using a theme to teach basic concepts helps my kids to connect better with the information. When a topic is exciting to them and they can see it used in many different ways, they seems to make more cross-curricular connections. While this is especially important with older kids when they are insisting that they “won’t really need” whatever they are studying, this is great for younger kids too, showing them the connection between math, reading and high interest topics. My three year old loves talking about different forms of transportation right now. As part of our home speech therapy, we are working to increase her number of words that she will say without prompting by another person. So it’s really a great tool to use printed pictures that she can “talk” about. We can point to each picture on the activities and practice counting so that she can hear the words modeled. 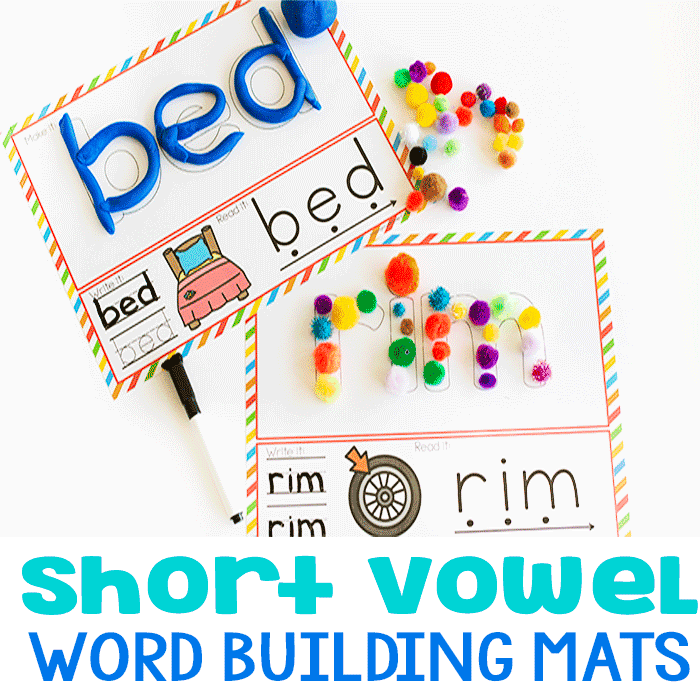 When she is ready to expand to more descriptive words we’ll be able to use these same activities by adding words such as colors or sizes. One red train. Two red trains, Three red trains…. For more advanced children, you can use these activities as independent games while you work with other kids. 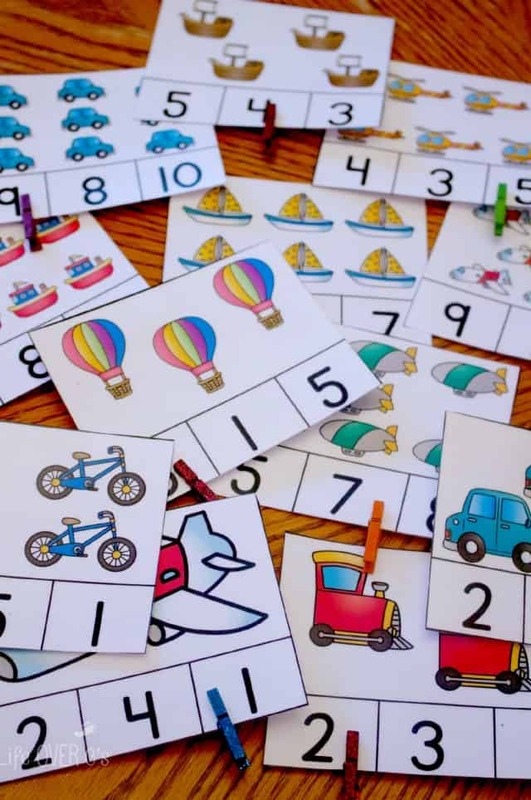 If you have never used clip cards before, they are a very simple way to get kids to use their fine motor skills while practicing other skills. Simply print and cut apart the clip cards. I usually laminate for durability. You could also print on card stock, but the cards probably will not last as long. My three year old is very rough with things, so the laminating helps things to last more than 10 seconds. Then, have your child use a clothespin to indicate the correct answer on the cards. These are so simple! Print and cut out. 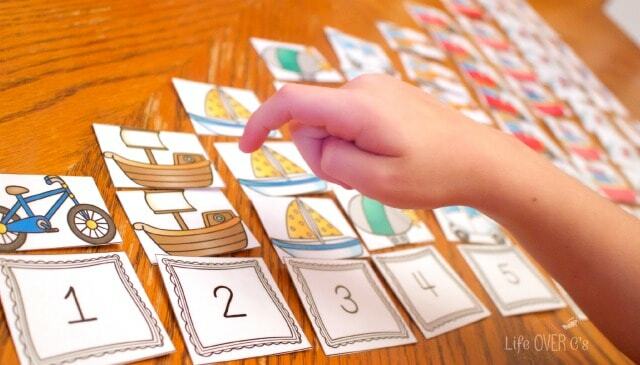 Then, have your child count the pictures and find the matching numeral. 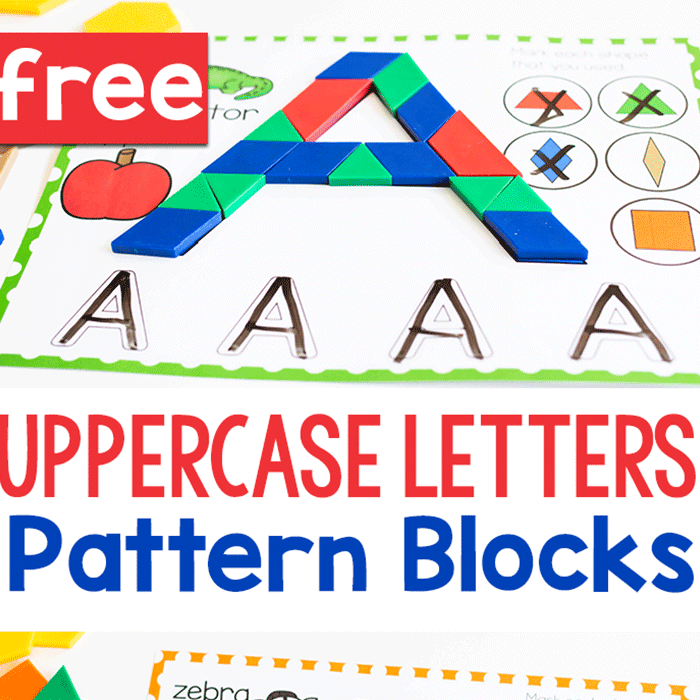 Practice number order with these adorable puzzles! 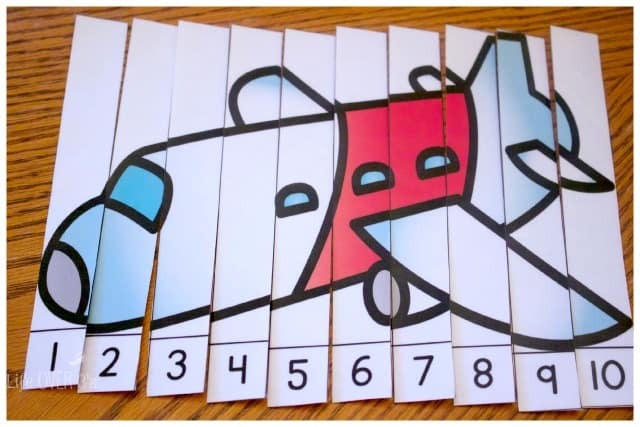 Have your child piece together the pictures by putting the numbers in the correct order. 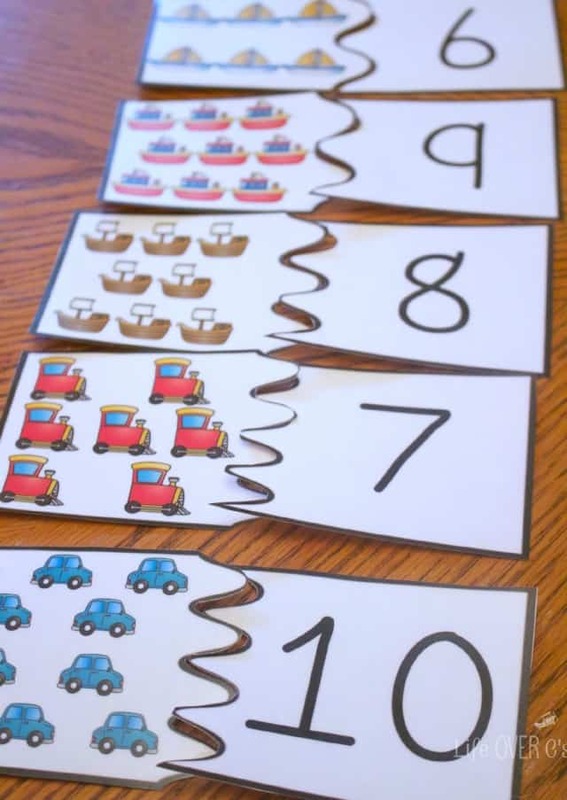 You can use these as a sorting activity and a counting activity by having your child sort the different pictures first, counting them and then finding the matching number. For fun we put all of the numbers in order. Thanks so much for sharing your fantastic work! 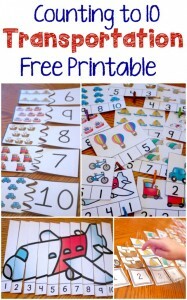 I love these fun math printables! Featuring you this week on Natural Beach Living – Thanks for linking up. Click through the link at the end of the post. Save the PDF that comes up and then print. Thanks a bunch! This is definitely an astounding web-site!. I can’t find the link at the end of the post , can you help me to download the printable? Not a problem. All you have to do is click the image that says “Get Your Printable Here” and it will take you to the downloadable link. How do you get the free items? Virtually impossible to obtain. There is an image at the bottom of the post that says “Get your printable here”, click it, enter your e-mail and the printable will be sent directly to your e-mail.